TreeHugger is a new discovery for me and this post which I have copied here in order to share it speaks from my heart!!! I’ve started knitting again after a year-long break. I bought some beautiful hand-dyed, locally spun yarn in a brilliant mottled fuchsia, and then I got to work, knitting furiously for two days straight until I realized that my new infinity scarf was disproportionately huge. I had to undo everything and start over, my enthusiasm somewhat dampened. When I took my knitting to a friend’s house, someone asked an interesting question: “Why would you bother knitting a scarf? It’s so much work and you can buy a great scarf for cheap anywhere.” It’s a good question. If it’s easy to buy a decent scarf for $10 at H&M, why would I spend $50 on handspun yarn and another week of knitting in order to get a finished product? It’s hardly economical. I’m creating a product of high quality. Because I’ve invested money and time into this scarf, it is far more valuable than anything I could buy for $10. I will care for it and it will last for many years, keeping its shape and colour long after cheaper scarves have fallen apart. Clothing is devalued in North America to the point where it’s practically disposable. It would be far better for the Earth if we stopped buying cheap items that don’t last and invested in fewer, higher quality items that do last. 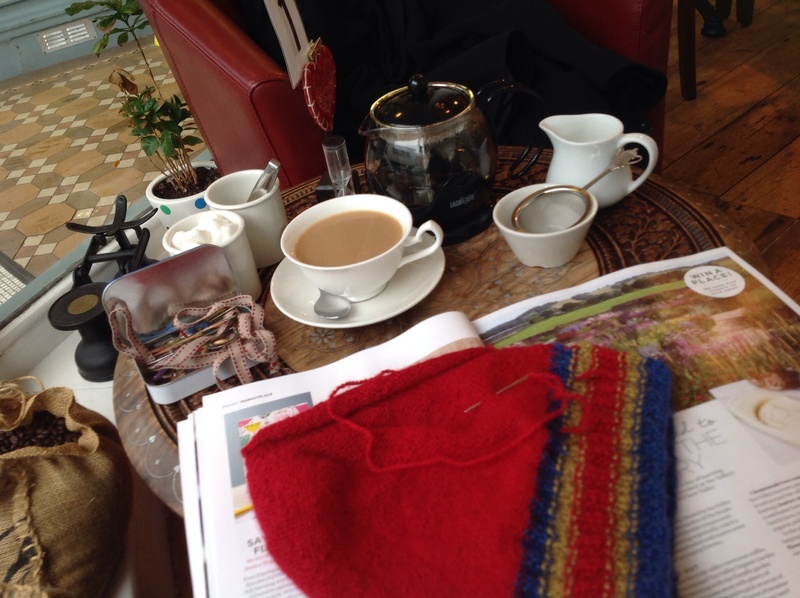 Knitting is a way to reclaim independence. We live in a world where we depend on certain individuals and companies to perform highly specialized tasks for us. There’s something satisfying about taking on some of the responsibility for clothing production and sending a message to the industry that I don’t need them to make my scarves. Knitting can help a local industry. It wasn’t cheap to buy two skeins of that locally produced yarn, but at least I’m making a statement with my consumer dollars to a nearby farmer, endorsing his or her decision to make a living raising sheep. According to Cline, if every American redirected 1 percent of their disposable income to domestically-made products, it would create 200,000 jobs. Cheap imported clothes become a lot more expensive when you calculate the loss of domestic jobs. Finally, it feels really good to make something by hand. There’s something very peaceful about performing a simple, repetitive act with my fingers that results in useful yet beautiful things. 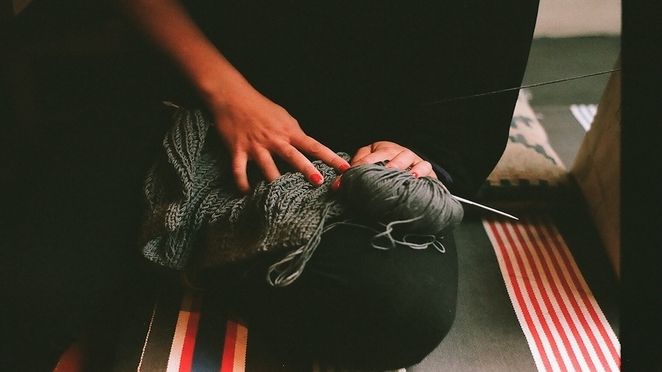 Do you knit or have another ‘slow clothes’-related hobby?